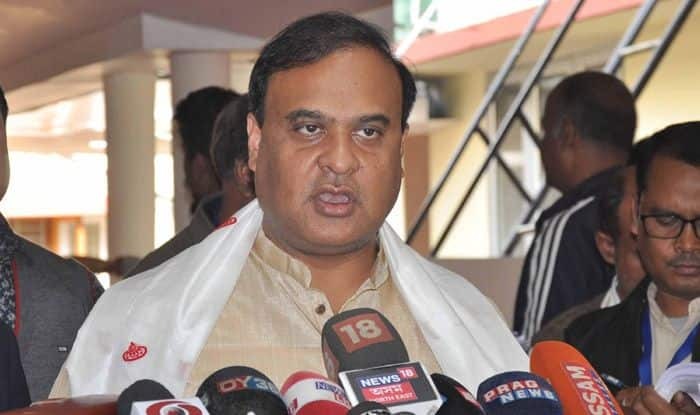 Assam Finance Minister Himanta Biswa Sarma on Saturday likened sitting Congress MP and candidate for the Silchar Lok Sabha seat Sushmita Dev to “Pakistan”, and said there is no work for her. Addressing a public rally at Barkhola in support of BJP candidate Rajdeep Roy, Sarma said voting for Dev will drag Silchar backward by five years. “PM is Modi, CM is Sonowal, I am the minister, Kishor Nath is MLA here. In between this, what is the job of Sushmita Dev? Everywhere is India, but there is a Pakistan in between. Will it work? No work will happen,” the NEDA Convenor said. “You can see that Sushmita Dev is very nervous. First, she brought Rahul Gandhi, then Pakistan PM Imran Khan’s friend Navjot Singh Sidhu. Tomorrow (Sunday) again, she is bringing Priyanka Gandhi. She knows that she did nothing in the last five years and is sure to lose,” Sarma claimed. Sarma also asserted that the BJP will win all the five seats that went to polls in the first phase, “with a margin of two lakh votes each”. Voting for the Silchar Lok Sabha constituency will take place in the second phase of general elections on April 18.